All right all you coffee lovers, today is the day that we unite and conquer. 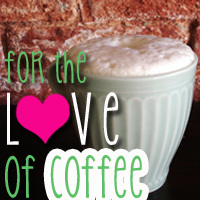 Today I am hosting FOR THE LOVE OF COFFEE link up PLUS giveaway! This is going to be big and it's going to be caffeinated. For my coffee rant today, I would like to share my favorite ways to have my coffee. I used to have only one drink I would get if I were to go to a coffee shop. I was consistent. I refused to waver. Until curiosity got the best of me. Now I could have my coffee made a number of ways depending on my mood, which only makes things for complicated when it is my turn to order. Yes, I am that annoying one who will step up then step back and let someone go ahead of her, and then step back up and ask the barista their suggestion. I know, I know, I annoy myself with it. My fall back one when I don't know what else to get would be my first love, a non-fat, vanilla latte. For when I am wanting something with a good coffee kick to it but yet a sweet treat I will go for an iced non-fat, caramel macchiato. Now one of my new found loves is an iced cinnamon dulce latte, mmmhmmm. When I am at home I go with regular drip coffee most of the time. If it is my day off I will probably go with the french press. I usually just use a teaspoon of sugar and call it good. 4. Then ENTER THE CAFFEINATED GIVEAWAY! 6. Have an extra cup of joe today FOR THE LOVE OF COFFEE! 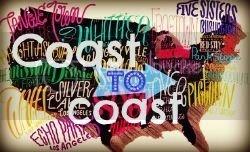 I'm your newest follower via GFC from the Return the Favor blog hop. Can't wait to get to know you better! Following you back from Return the Favor! Great idea! I-m a coffee lover myself! lovely blog! feel free to visit mine whenever you like! we could also follow each other too. Such a lovely link up & giveaway :D Thank you for stopping by my blog earlier. I'm a new follower now! Thanks so much for linking up to the Return The Favor Hop, I am now following you! Hope to see you again next week for the Twitter link-up :) And thanks for the giveaway! 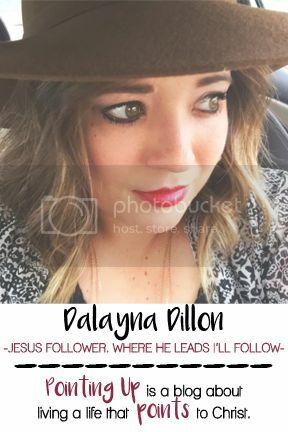 Hi there, Dalayna!Following you from the blog hop. Thank you so much for dropping by my blog and for following. Your giveaway is awesome, too bad I can't join (I'm not a US resident). By the way, come check out my blog again and enter my giveaway. Win a scrapbooking software and an ad space! Have a great day!